Ever since the beginning I can remember being in love with nature and it’s beauty. From a simple sprout, to the great redwood forest! 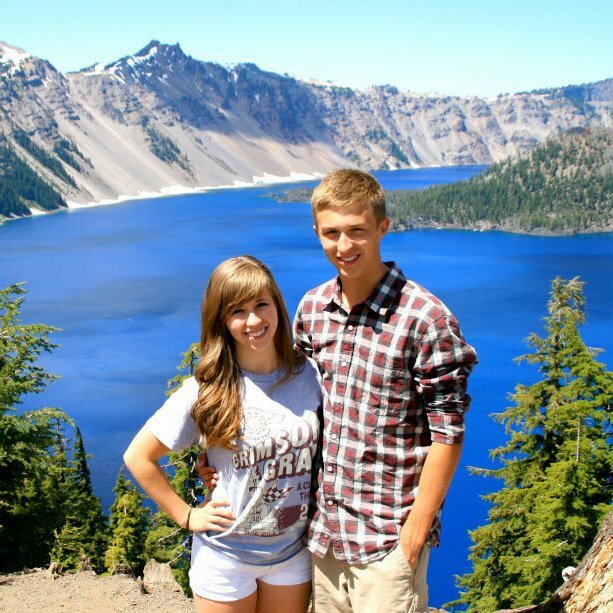 While writing my last post about hanging all my pictures, I reminisced about one picture, my family visit to Crater Lake. This picture was our family Christmas photo for that year. Since this visit and a few others before, like visiting the redwoods, I want to travel to other famous National Parks. I have ALWAYS wanted to go to Yellowstone. And it’s really not that far! I also really want to visit the Grand Tetons. The photographer inside of me is screaming at me to get in the car and go!! I have been to Glacier National Park, but it was during that awkward stage when you can tell it had snowed, but the snow was all melted and everything was dead. and it was foggy. So I’d love to go back!